- The Journal Of Intellectual And Developmental Disability. 'This book is a 'must' for educational establishments who have disabled children and take child protection seriously... The layout, contents and illustrations made it easy for me to take in the information boldly presented in the book... the seven modules are excellent and represent a concrete base on which to plan our individualised approach. Although child protection has become a major issue, the abuse of children with disabilities has been largely ignored. International research shows that this group of children is at greatest risk from all forms of maltreatment. However, the needs of children with disabilities are not being met first, because these children are not being acknowledged as a target population by the community at large and, second, because service providers are so overwhelmed by other problems that they have not begun to take up the challenge of addressing the special needs of this most vulnerable minority group. This book, written at the request of teachers, social workers and psychologists, is in two parts. Part I provides the information needed by parents, teachers and other caregivers for an understanding of personal safety skills for all children, and explains the risks and considerations peculiar to children with special needs. Possible approaches and methods for their protection are introduced. Part II provides practical curriculum ideas and exercises for developing safety skills in children and young people with mild to severe disabilities. The curriculum ideas are sequenced to help with the development of basic safety knowledge and skills, and may also be used in mixed ability classes. Part I: 1. All Children Need Personal Safety Skills. 2. Why Children with Disabilities need Personal Safety Programs. 3. Parent Participation in Personal Safety Programs. 4. 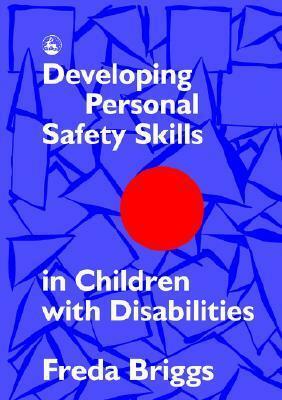 Some of the Challenges involved in Developing Personal Safety Skills in Children with Disabilities. 5. Responding to the actual or suspected sexual abuse of children. 6. How to use this program. Freda Briggs is Professor at the De Lissa Institute of Early Childhood and Family Studies, University of South Australia.